The bond of Brother - Sister love is glorified in India. 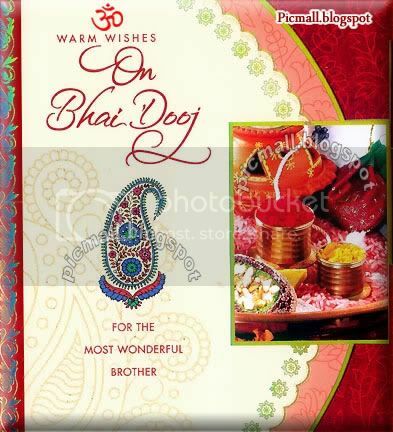 After the celebrations of Diwali, Sisters all over India get ready for 'Bhai Dooj' - when sisters ceremonize their love by putting an auspicious tilak on the forehead of their brothers and perform an aarti of him by showing him the light of the holy flame as a mark of love and protection from evil forces. 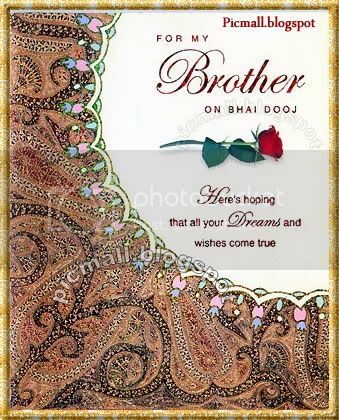 To celebrate this ocassion send the following images to your brother / sister and express your love in a beautiful way.